NO: Yeast, corn, wheat, gluten, milk, salt, sugar, starch or preservatives. As a reminder, discuss the supplements and medications that you are taking with your health care providers. Store between 59º-86ºF. Keep out of the reach of children. Due to natural color variations in ingredients, we have added natural carob and annatto color to our softgel for color consistency. If you are pregnant or nursing, taking medication or planning a surgery, consult your doctors before using this product. If any adverse reactions occur, stop taking the product and consult your doctor. Do not consume this product if you are allergic to shellfish. Q. What Is Beta-Carotene? What Are The Benefits Of Beta-Carotene? A. Beta-carotene is a red-orange pigment found in plants and fruits, especially carrots and colorful vegetables. Beta-carotene's chemical formula - C40H56 - was discovered in 1907. The human body converts beta-carotene into vitamin A (retinol) - beta-carotene is a precursor of vitamin A. We need vitamin A for healthy skin and mucus membranes, our immune system, and good eye health and vision. Q.Which foods are rich in beta-carotene? Apricots, Asparagus, Broccoli, Carrots, Chinese cabbage, Chives, Dandelion leaves, Grapefruit, Herbs & Spices - chilli powder, oregano, paprika, parsley, Kale, Ketchup, Many margarines, Onions, Peas, Peppers, Plums, Pumpkin, Spinach, Squash, Sweet potatoes. A.Vitamin A is a vitamin, a substance found in foods that is necessary for human health. Vitamin A is found in liver, various dairy products with fat, such as milk, cheese, butter and ice cream, and in fatty fish such as herring, sardines, and tuna. It can also be found in the liver oils of shark, cod, and halibut. Vitamin A is known to play a part in cell differentiation, a process by which cells “mature.” Differentiation helps prevent inappropriate growth, such as the uncontrolled cell growth that is seen in cancer. Many studies in animals show that vitamin A and similar compounds decrease the incidence of cancer. Q.What are Health benefits of beta carotene? A.Being an important flavonoid compound, beta carotene has powerful antioxidant functions, helps the body scavenge free radicals, thereby limiting the damage to cell membranes, DNA and protein structures in the cell. Research studies suggest that dietary intake of foods high in β-carotene has positive association with decreased risk of cardio-vascular disease as well as oral cavity, and lung cancers. When converted to vitamin A in the intestines it has all the functions of vitamin A such as visual cycle, reproduction (sperm production), maintenance of epithelial functions, growth and development. A.Alpha-carotene is one of the most abundant carotenoids in the North American diet. It is a "provitamin A" compound, one of approximately 50 carotenoids able to be converted in the body into retinol, an active form of vitamin A. Alpha-carotene has approximately one-half of the vitamin A activity of beta-carotene. Q.What can foods rich in alpha-carotene do for you? A.Protect your cells from the damaging effects of free radicals. What events and lifestyle factors can indicate a need for more foods that are rich in alpha-carotene? Q.What are the functions of alpha-carotene? Until late in the 20th Century, the functions of carotenoids, including alpha-carotene, were discussed only in terms of their potential vitamin A activity. Alpha-carotene is one of approximately 50 carotenoids of the known 600,that are called "provitamin A" compounds because the body can convert them into retinol, an active form of vitamin A. As a result, foods that contain alpha-carotene can help prevent vitamin A deficiency. In addition to beta-carotene andbeta-cryptoxanthin, alpha-carotene is among the most commonly consumed provitamin A carotenoids in the North American diet. In recent years, carotenoids including alpha-carotene have received a tremendous amount of attention as potential anti-cancer and anti-aging compounds. Alpha-carotene is a powerful antioxidant, protecting the cells of the body from damage caused by free radicals. 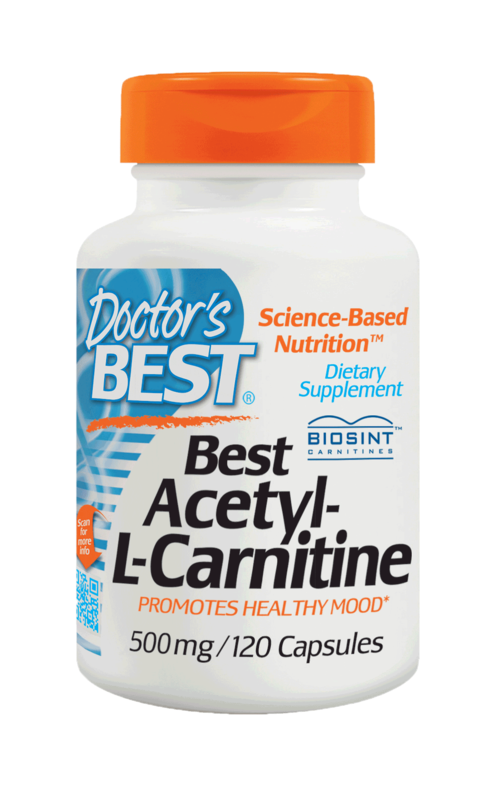 In addition to their antioxidant and immune-enhancing activity, carotenoids including alpha-carotene have shown the ability to stimulate cell to cell communication. Researchers now believe that poor communication between cells may be one of the causes of the overgrowth of cells, a condition which eventually leads to cancer. By promoting proper communication between cells, carotenoids may play a role in cancer prevention. Q.What are deficiency symptoms for alpha-carotene? A.A low dietary intake of carotenoids such as alpha-carotene is not known to directly cause any diseases or health conditions, at least in the short term. However, if your intake of vitamin A is also low, a dietary deficiency of alpha-carotene and/or other provitamin A carotenoids can cause the symptoms associated with vitamin A deficiency. In addition, long-term inadequate intake of carotenoids is associated with chronic disease, including heart disease and various cancers. One important mechanism for this carotenoid-disease relationship appears to be free radicals. Research indicates that diets low in alpha-carotene and carotenoids can increase the body's susceptibility to damage from free radicals. As a result, over the long term, alpha-carotene deficient diets may increase tissue damage from free radical activity, and increase risk of chronic diseases like heart disease and cancers. A.Alpha-carotene can be found in concentrated amounts in a variety of foods including sweet potatoes, carrots, kale, spinach, turnip greens, winter squash, collard greens, cilantro, fresh thyme, cantaloupe, romaine lettuce and broccoli. carrots, winter squash, tomatoes, green beans, cilantro, Swiss chard, apples, avocadoes and cantaloupe. I'm using this product to help my eyes and hope it does protect them and makes them stronger. Great product. Delivery was fast and the goods arrived in mint condition.